A Wish Central Fundraising Raffle: Ending On January 1st, 2012 At 7:00PM EST! The above picture is originally derived from the following link, which gives the public permission to use it, I simply edited in the words, and got rid of the white parts. This section is for those who have helped me continuously with organizing raffles & games, eggsitting, and helping me fulfill wishes on the Wish Central list. Each person on this list deserves a round of applause, and they each get to use a special badge on their page, or when they eggsit for Wish Central. If anyone besides the people on this list use this badge of honor either in their posts or on their profiles, please send me a PM telling me so, they are not allowed to use it without my permission. Order of the Rose members do much more than just eggsit. They help with raffles and quicksales, they create and host free games during the holidays, and they help discuss and refine ideas for the whole of Wish Central. Please feel free to PM me (MoriyuriSenpai) about joining, we are always looking for help. Just know up front that you will not be paid in gold, but in Raffle tickets to be used in the raffles that I hold myself. Each egg that you hatch in your eggslots and mine will currently be worth eight raffle tickets each. Just keep a tab of the number you have helped hatch for me on your profile, and I will automatically place your tickets in each raffle. I also could use help with organizing events and games for New Year's, Valentine's Day, Halloween, Thanksgiving, and Christmas. Does the Order exist to just eggsit for you? Absolutely not. Order of the Rose members do much more than just eggsit. They help with raffles and quicksales, they create and host free games during the holidays, and they help discuss and refine ideas for the whole of Wish Central. What do you do with the creatures the Order members send to you for Wish Central? What do you do with all that gold you get through the Raffles? Do you keep it for yourself? I split the entire amount in half after the Raffle is closed to ticket purchasing, and send half of it straight to GamingGal, the original creator of Wish Central. I use the other half (hidden away in a trade to keep from accidentally spending it) to assist her in fulfilling wishes when she is on Hiatus' for school, and I save up the gold to fulfill some of the larger, more impossible wishes. I love your crest, and I've seen it on several peoples' profiles! Why do we have to ask your permission to use the crest, banners, userbar, and button for The Order Of The Rose? Why can't we just use them? Why can't non-members post in The Order Of The Rose Guild thread? When I eggsit, can I use Daycare threads such as the Temple Nursery (or other Daycare threads), and still have it count toward my ticket total? How do I count my egg total? Before they hatch, or after? You count them while they're still eggs since the hatchies will be removed as soon as possible to keep everything a little neater. If you want your hatchies to continue growing after that, post the codes into daycare threads. I will add to this list as more questions arise from the Magistream Community. Also, to answer some questions sent to me, yes, the tickets are currently counted at 8 tickets per egg hatched, and that includes all of your eggslots, plus any eggs that are posted by other members of the Order whether they are for Wish Central, or not (as long as they are in the code train at the bottom of this post.) You are helping Wish Central with games and organizing, and generally keeping me from going insane, so the least I can do is toss in a few extra tickets for eggsitting. Just don't do any repeat codes (yes, I check this, so no sneaky sneaking.) Oh, and hatchies are removed whenever possible, so don't count them. If the critters are meant for Wish Central, just toss them into a trade, and when you get to about 40 or more of them, send the trade. In order to prevent Order of the Rose tickets from overwhelming other tickets in raffles, there will be occasional, separate raffles for Order of the Rose members which the tickets earned by eggsitting will be for. Order of the Rose members can of course still enter any other raffle, but will have to buy tickets rather than receiving them free, so that everyone has a fair chance at winning the main raffles. You may enter one or both of the raffles if you wish. 1. Order members may currently only redeem 15,000 tickets per Main Raffle until I know more information about the Main Raffle's amount of entries. This prevents the Order members' tickets from overwhelming the MS Community's tickets in the main raffles, and gives everyone a chance at the larger prizes. 1. These raffles are for Order Of The Rose members only. I have created these separate raffles to prevent the Main Raffles from being overwhelmed by the Members' tickets. There is no Ticket Cap for this raffle, and the members may only use the number of tickets they have earned through eggsitting. 2. It is up to each individual member to distribute their tickets throughout the raffle posts, to maximize their chances of winning a prize. **Can't find the Eggtrain? Click the rose below! It will be at the bottom of the post under the spoiler. Last edited by MoriyuriSenpai on December 22nd, 2011, 8:27:03 pm, edited 17 times in total. Location: Wish Central, The Order Of The Rose, GSA, FelisFire, Howrse, GaiaOnline, My Brain. This is where you can all come together and converse about new ideas for the games, raffles, etc. I simply made this because not everyone is a MS Donator, and cannot send out mass PMs, so this is where everything will be talked about. You guys can post ideas, we can hack out the details, then vote on them. Okay, other than that, this thread is where you post codes for new eggs. 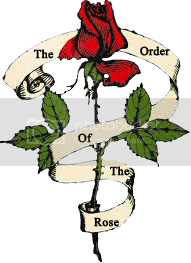 The codes will be placed in the Wish Central: The Order Of The Rose post in Wish Central, and not here. Last edited by MoriyuriSenpai on December 3rd, 2011, 9:02:36 pm, edited 10 times in total. Hey look it's a post! ...Wait. That wasn't distracting. ...Why do I need a distraction again? Oh yeah, I don't know what to say. So... yes. Reserved post, nothing for now, later on I'll have important stuff here, (probably) including updates from Mori when she doesn't have computer access, among other things. Any eggs we need in particular? I'm totally open, slot-wise, right now. *gigglesnorts* New thread smell? Oh, that's totally going into my funny quotes spoiler. We'll take anything you can grab, eggwise. I'm trying to get at least 3k critters before the december raffle. So, anything? M'kay, after the rats are gone I'll see if my emerald wyverns won't cooperate and give me a 1st gen eggu. They have been so crotchety lately. I am your official resident nine year old, and I can do the egg-sitting if you want. I don't have Twitter (who does in China?) but I'm a regular visitor to the click threads and usually get eggs hatched in a maximum of one and a half days. I also have a large stock of breeding pairs available. You can check my Collections tab to see which ones you need!